If you are looking for an oil heating engineer you have come to the right place. Fairburn Heating is based in Penistone and we are able to provide an excellent service to clients throughout Yorkshire and Derbyshire. If you require assistance with any plumbing or heating issue,make sure that you get in touch today, we're sure you won't be disappointed with our professional and reliable service. Fairburn Heating has been established for 22years and we have over 26 years of experience in the profession. We are OFTEC and Gas Safe registered for your peace of mind . We offer a reliable, honest and efficient service and are friendly, local businessmen. Whatever is it that you require, we are here to help; so call us today to discuss your requirements. 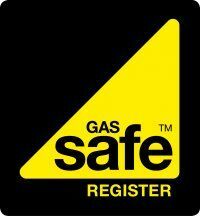 So, for a Gas Safe registered engineer in, make sure that you come to Fairburn Heating today. You can contact us by calling on 01226 766545 or 07885 844 019. Alternatively you can send your enquiries via the 'Contact Us' page on this website and we will get back to you as soon as possible. We look forward to hearing from you soon if you are looking for an oil or gas engineer.